NEW YORK, NY--(Marketwired - December 19, 2017) - Full-service agency Rauxa today announced that it has appointed Preeti Patel its new Vice President of Technology. Patel will be based in Rauxa's New York office, leading long-term strategy and innovation opportunities for clients including Vans and Frontpoint Security. Patel is an industry veteran in the IT, digital and market research industries, with more than 20 years of experience providing technology, vision and strategic leadership to organizations in competitive marketplaces. 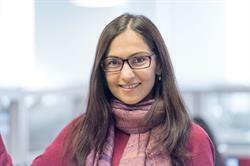 Prior to joining Rauxa's leadership team, Patel was Senior Director of Technology at digital agency Huge, where she delivered award-winning campaigns, led platform strategy and transformed product development processes for top brands including Thomson Reuters, Verizon, Morgan Stanley and ExxonMobil. Prior to Huge, Patel also held positions at The Marlin Company and 360i. "Not only does Preeti come to us with years of relevant experience leading digital transformations for brands, but she also has a strong drive and determination to be innovative," said Gina Alshuler, President & CEO of Rauxa. "Our clients want to win, and Preeti is here to help them do just that." Patel is a graduate of Massachusetts Institute of Technology (MIT) and holds three patents for electronic media communication, creation and distribution systems. "It's an exciting time to join the Rauxa team," said Patel. "I've been in this industry for more than 20 years, and it's refreshing to join a female-led management team that's looking to use data and creativity to answer clients' business challenges." Makers of results, Rauxa applies data, technology, and content to create measurable impact at maximum speed for clients that include Gap Inc., TGI Fridays, and Verizon. The country's largest woman-owned independent advertising agency, Rauxa is powered by a team of more than 250 marketing professionals in seven locations across the country--defined by the distinction, "Head. Heart. Hustle." Find out more at www.rauxa.com.